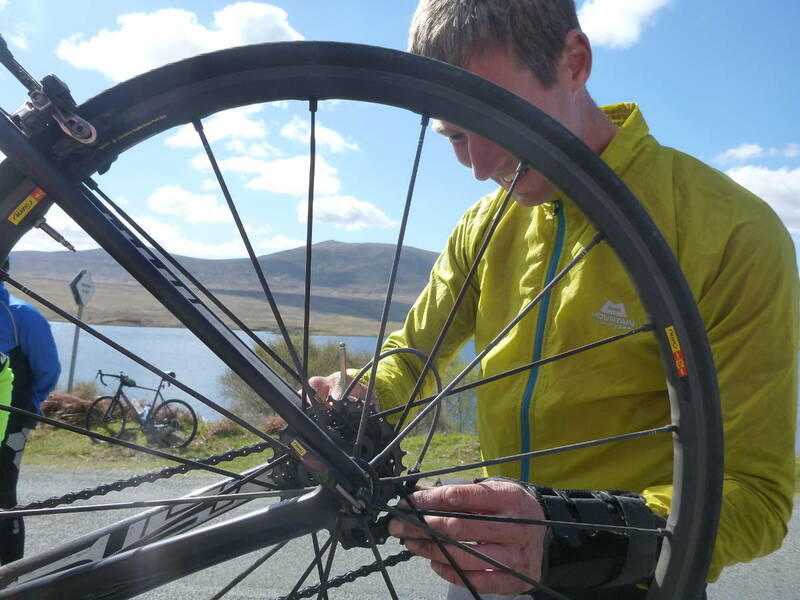 One of our most experienced guides has set up his own bike service centre and is now working in conjunction with us to offer a comprehensive bike repair service. Graham Hill is a Cytech qualified bike mechanic and has over 27 years’ experience of cycling and working within the cycle industry having spent the last few years working with us here at Peak Tours as a lead guide and mechanic. He has completed many of our tours as a guide and when he isn’t guiding or tinkering with bikes he is out mountain biking and road cycling the length and breadth of the country. If you get your bike to us any time up to one week before the tour, then we will have the bike fully serviced and ready to go for you including delivering the bike, to the start line of your tour. We will bring your bike back to the workshop after the tour and give your bike a full service and clean, replacing any damaged or worn parts and then you can collect it from us at Peak Tours HQ in Glossop or we can post the bike directly back to anywhere in the UK for you. Open throughout the year, we can cater for all your servicing and repair needs for all types of bikes. Bespoke services can be arranged directly with Graham or through our office, feel free to give us a call or use the contact form below. Having arranged 100’s of cycling holidays we are only too aware of the kind of issues that can affect the bikes that our customers ride. Unlike most bike shops, we won’t just make the bike roadworthy, we will make sure it is fit for the tour duration and terrain. You will get an outstanding, personal service from people who really know what is needed for your tour. We can post your bike back to any address in the UK after your service for an additional cost of £70.00 per bike. BRONZE – £35.00 – This includes a safety check of all nuts and bolts to ensure the bike is fit for use, we will also give the bike a basic clean including the drive train and adjust the gears and brakes then test ride the bike to check for any other issues. If this is a pre-tour service, then we will also advise you of any issues with parts or mechanics that we feel need to be addressed before the tour begins. SILVER – £60.00 – Everything included in the Bronze service plus removing the headset and bottom bracket which will be cleaned and greased, removal and truing of the wheels, hubs serviced and greased and all other components cleaned and lubricated. GOLD – £100.00 – Everything included in the Silver service plus a full frame strip down and rebuild. Any parts found needing replacement will be brought to your attention and can be replaced upon agreement. All fitting costs are included in the price and parts will be charged separately. Our aim is simple, to provide you with the best tour experience that we possibly can. Making sure your bike is in the best mechanical condition will minimise the amount of issues you experience on your tour and allow you to just concentrate on riding.